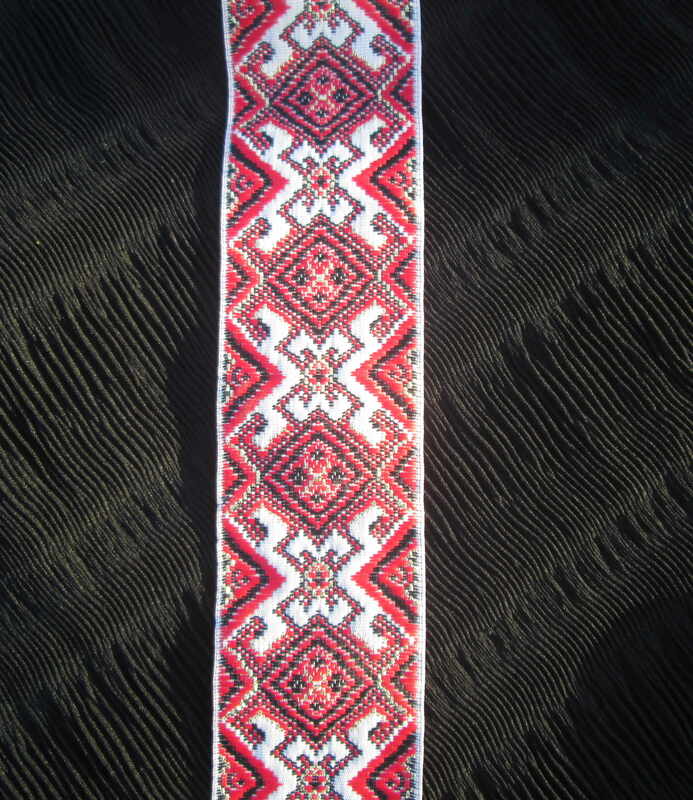 This is my new handmade jewelry project made out of Ukraine ethnic trim you can find in my Etsy shop. 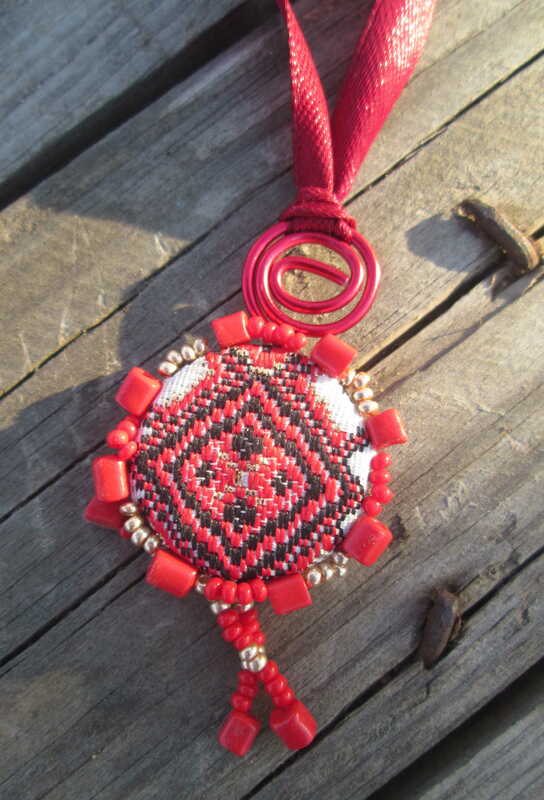 It’s a small and bright pendent fashioned after Ukraine ethnic style. Here is my DIY step by step project for it. At the first glance it seems to be a large list of stuff, but most of it you can find right in your home. First comes the coin. It’s going to be our ethnic pendant foundation. Coins are nice to work with. I used Ukrainian 5 kopek coin, it’s the largest one. 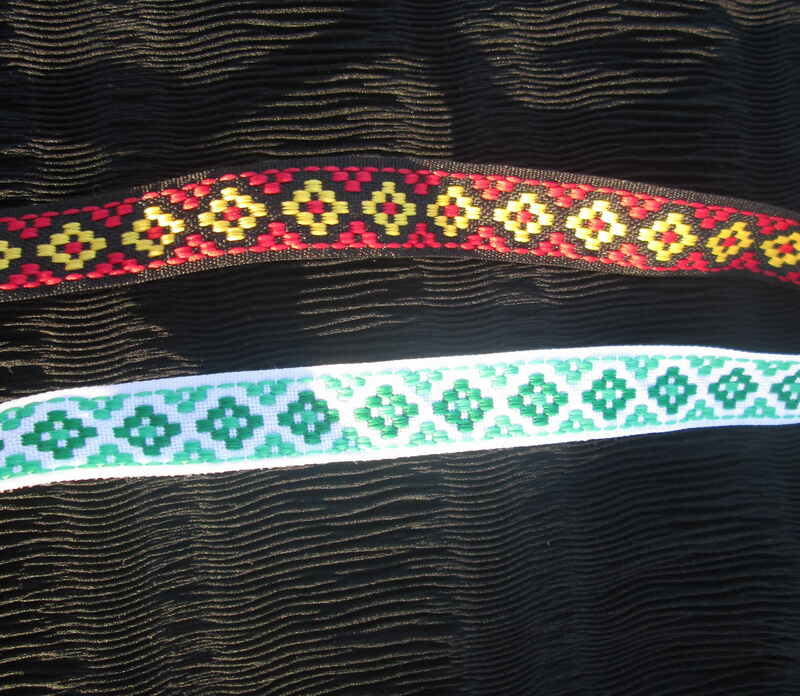 I took a piece of wide ethnic trim (you may find one in my Etsy store). Cut a piece out of it and used hot glue gun to glue it onto one side of a coin. You can sort of wrap it around the coin, if you have Ukraine trim wide enough. Do not worry about the other side and how it looks. Try to make it as tidy as possible, but we’ll deal with it later. Then I made a little 8 shape out of jewelry wire. I just rolled it up to make a pendent holder. I also glued it to the other side of the coin. Finally, I cut out a small felt circle matching the size of the coin and glued it onto the other side of the coin to hide the back side. I used a thin bead needle and transparent thread to sew up the bids onto the facial side of my ethnic style necklace. And I made three hanging tails out of the beads at its lower side as a way of decorating it. The last touch was to tie a red ribbon to the wire part of the Ukraine style pendant. It took me about half an hour to make this jewelry, so it is an easy ethnic jewelry DIY project. Enjoy and share your crafts with me. Find my other carfts and project at Pinterest.